The California Headache & Balance Center is the only clinic in central California that specializes in difficult headache problems as well as conditions that cause dizziness and imbalance. The clinic is led by Melvin R. Helm, M.D., a board-certified neurologist and headache specialist who trained at the Albert Einstein College of Medicine in New York City. Dr. Helm is a Central Valley native who started the center because of the great demand for services in his area. 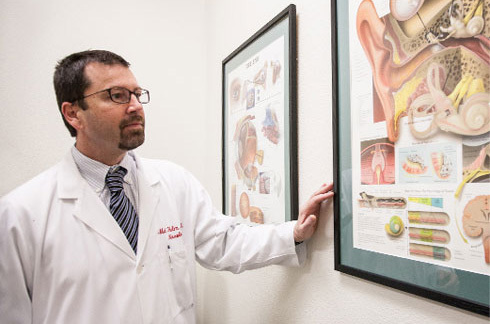 In fact, over 120,000 people in the Fresno area suffer from migraine and even a greater number suffer from disorders that cause dizziness and imbalance. Dr. Helm has gone to great lengths to establish a state-of-the-art laboratory at the center and all diagnostic testing is performed with the best instrumentation modern technology can offer. Our mission and goal at the center is to accurately diagnose patients and provide or recommend treatment so that patients may regain control of their lives and get back to their normal activities. We utilize both traditional treatments and the latest innovative medical approaches in diagnosing and treating patients. Treatment is highly individualized to each patient's specific medical diagnosis, symptoms and condition.